Leonard shares that they roast all their pigs at their site in San Juan City, pigs that they source only from Pangasinan. “We only use pigs from up north,” shares Leonard. “It’s a black native pig, and we only use that breed kasi may hinahabol kaming fat-to-meat ratio. 'Di pwedeng sobrang payat, and 'di rin pwedeng sobrang fatty.” The skin too, he adds, must be thin enough to be crisp when roasted. 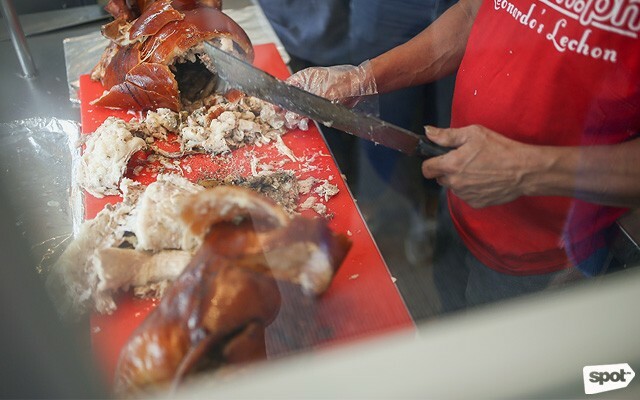 It’s this attention to detail that makes Leonardo’s Lechon a cut above the rest—in fact, they currently sit at the number 2 spot of our top 10 lechon list with a roast pig that’s juicy and bursting with herby flavor from the blend of garlic, oregano, basil, thyme, and rosemary. The spices of the pork both work well with their homemade sarsa and with vinegar. But the real scene-stealer is the skin, which gives off a satisfactory crunch, and has just the right amount of fat to make it succulent but not overwhelming. 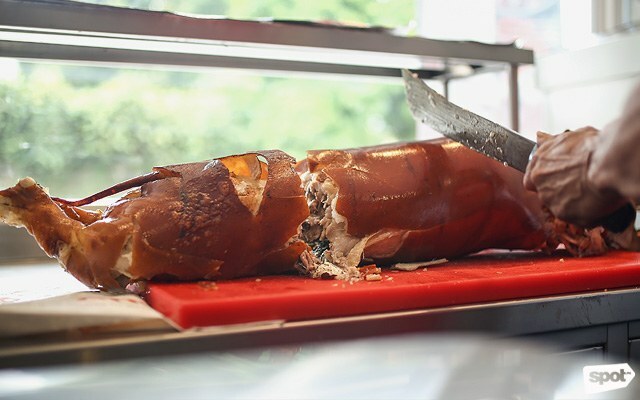 Aside from this traditional lechon, Leonardo’s and The Lechon Shop also offer a special Carnivore Lechon, which comes stuffed with bacon, potatoes, and three kinds of sausages. 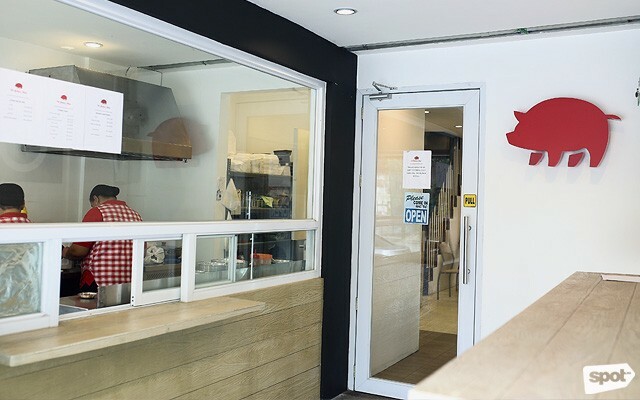 The lechon used to be only available at Leonardo’s whole, but you can now get it at The Lechon Shop in per-kilo portions: A kilo goes for P850, a half-kilo for P425, and one-fourth kilo for P215. 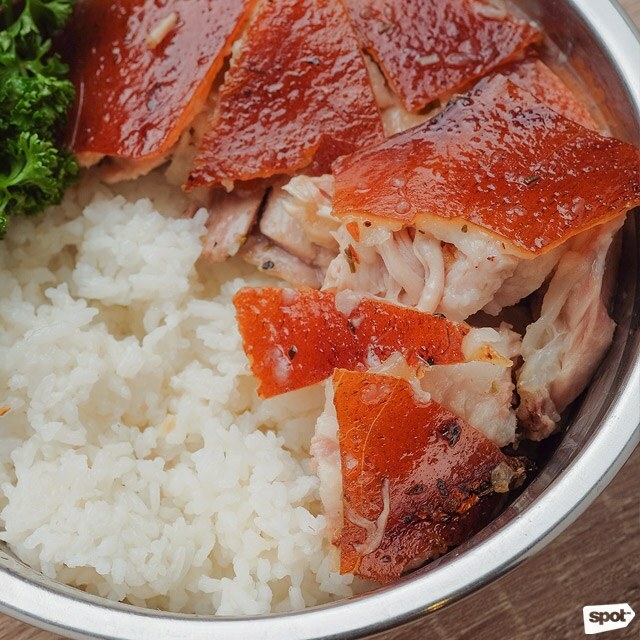 You can also opt for a Lechon Rice Bowl (P200), for a quick fix for your lechon cravings—aside from the succulent pork, The Lechon Shop also seasons their rice with sesame oil and salt for tastier bites. With a roast pork-base this flavorful, you can be sure that it’ll make anything cooked up with it incredibly tasty. 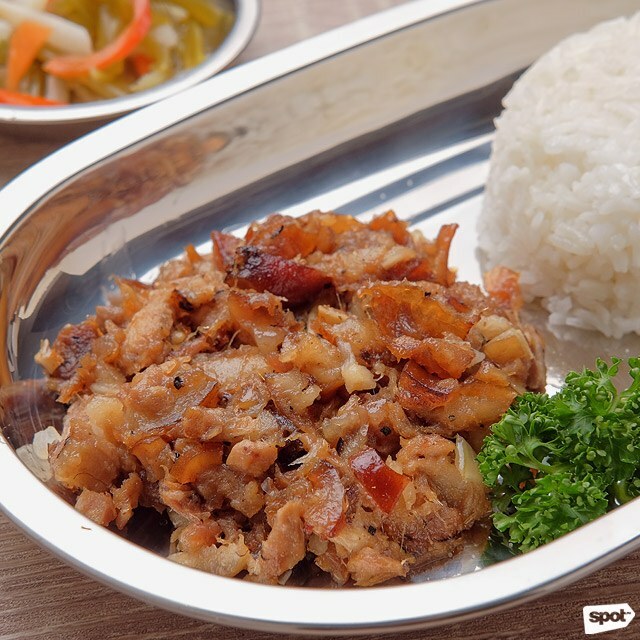 The Lechon Sisig (P200/plate, P180/rice bowl), patterned after the creamier Kapampangan version, uses chopped lechon bits, for sisig that’s extra savory and indulgent. 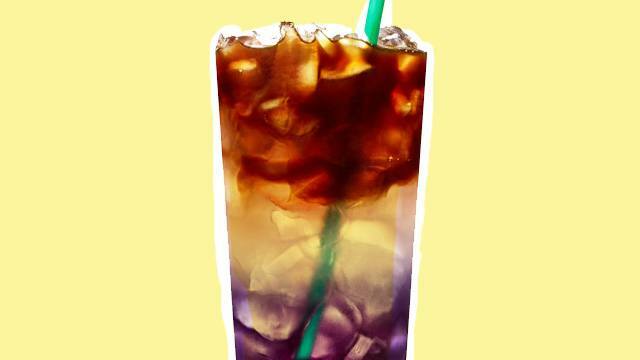 You’ll want more than one bowl of rice. 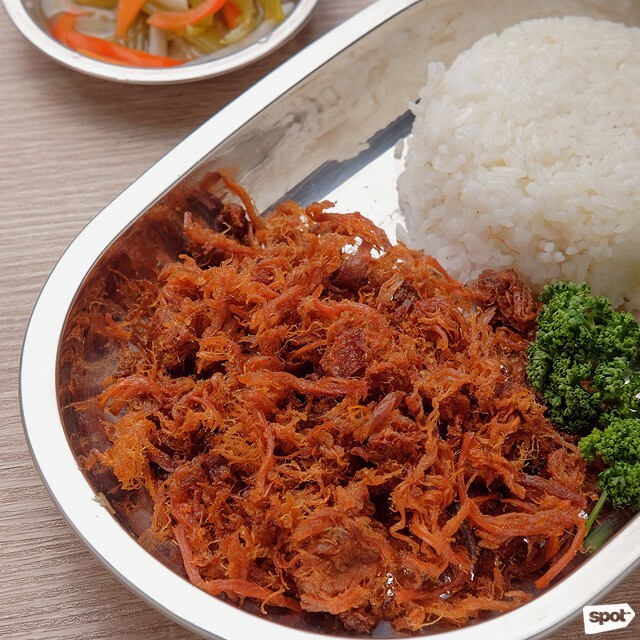 Lechon Flakes (P250/plate, P180/rice bowl) is The Lechon Shop’s take on a breakfast classic: Adobo flakes. 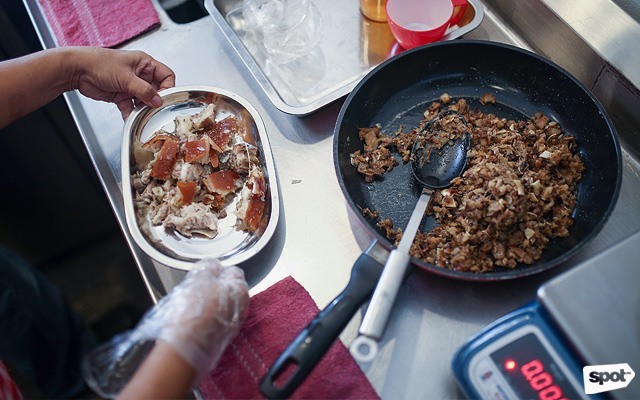 Lechon is chopped into flakes and fried to be extra crispy. These are then smothered in an adobo sauce that lies on the sweeter side, which matches well with the tang of their house-made atchara. 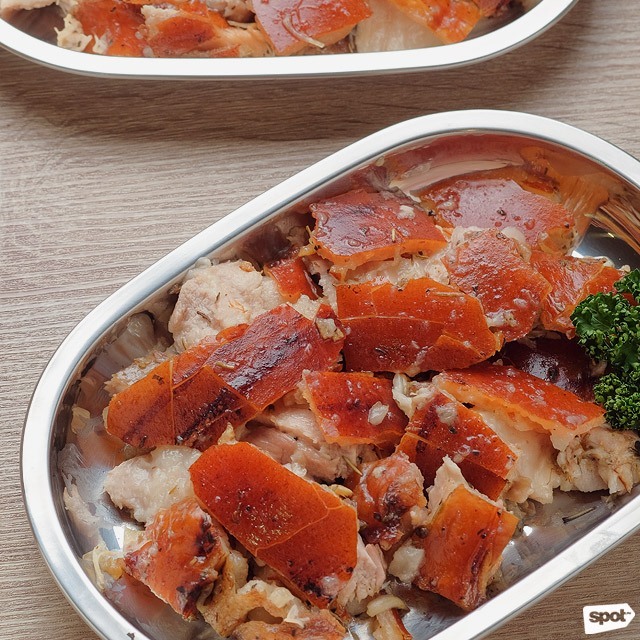 The Lechon Shop also offers party platters that are, of course, still made with lechon. 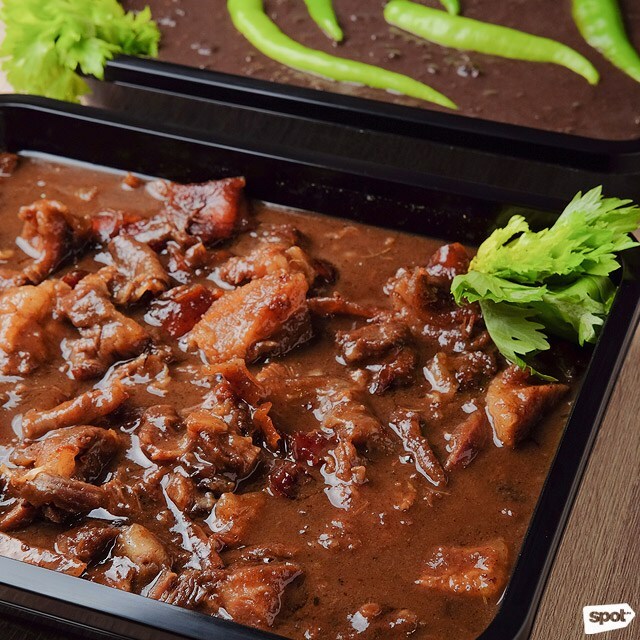 The Lechon Dinuguan (P200) is particularly noteworthy; the gaminess of the sauce is still present, but a subtle citrus sourness balances it out that you can’t help but dig back in again after the first bite. 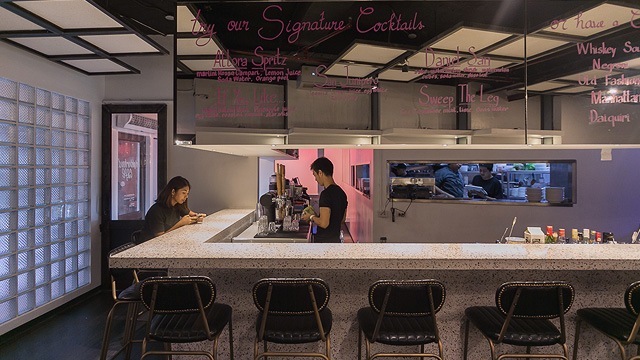 Leonard shares that he has even bigger plans for The Lechon Shop, including hiring a chef who’ll help them come up with modern dishes that’ll complement the classic Filipino food on the menu. 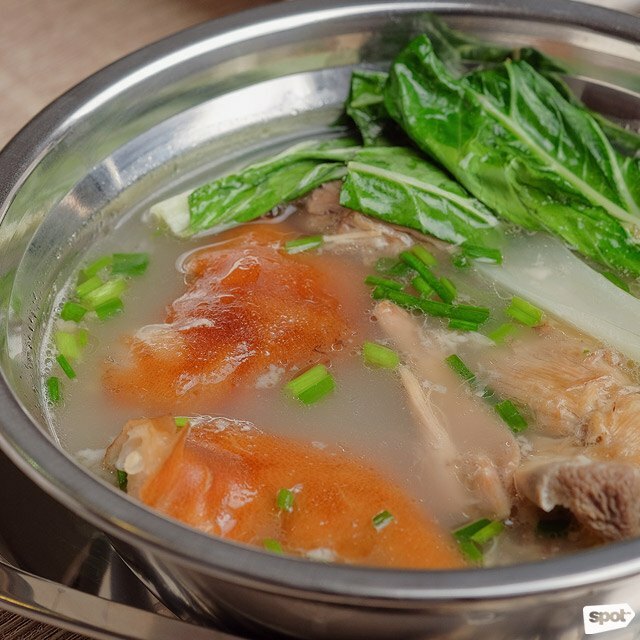 But for now, the wide variety of lechon-based dishes on offer are enough to satisfy. 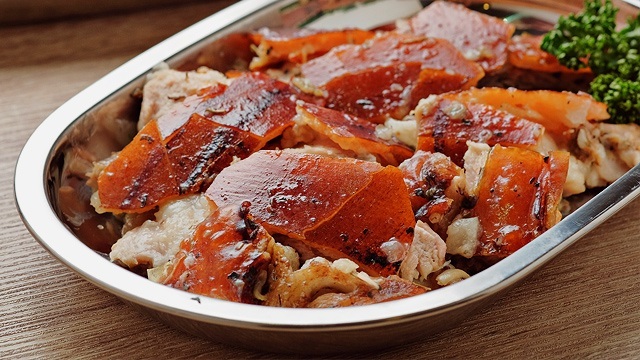 One thing’s for sure: You won’t get tired of lechon here.